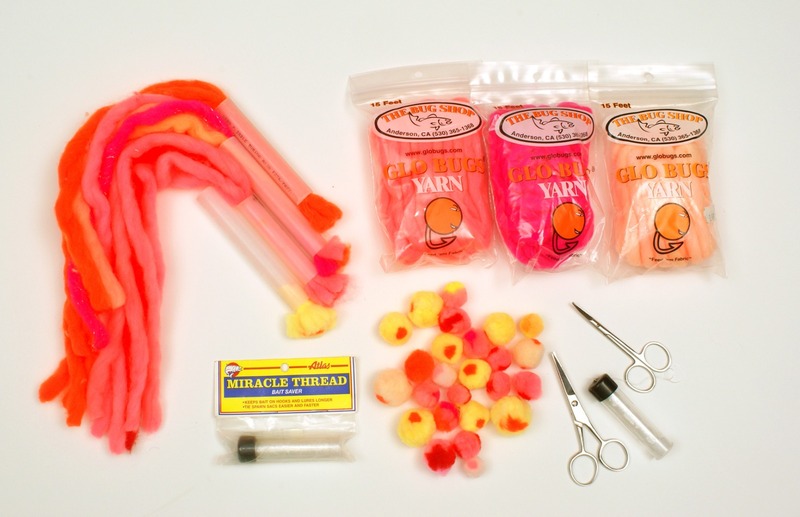 Larry Ellis' homemade yarn ball, better known as steelhead candy! Friday, December 21 marks the beginning of winter, and with a little bit of luck, the first big storm coinciding with the third week of winter usually ushers in the first large schools of winter steelhead. 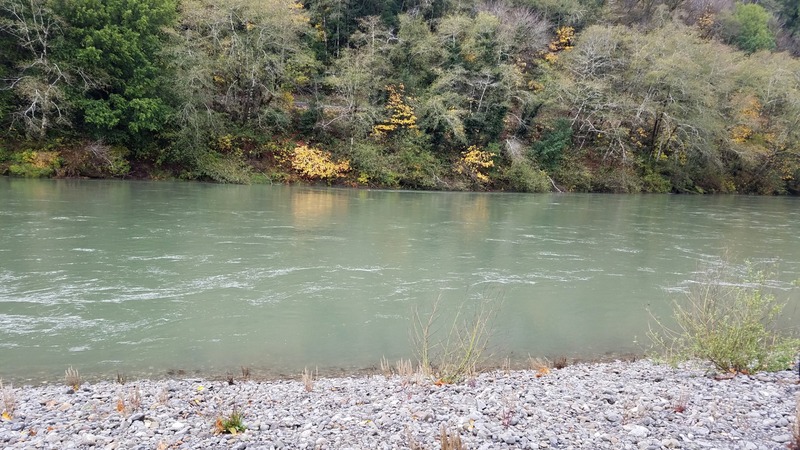 Unfortunately, many south coast rivers like the Chetco River have been plagued with low-water conditions. Thankfully, the Chetco received enough rain on three separate occasions to allow the ground in the surrounding area to reach its saturation point. 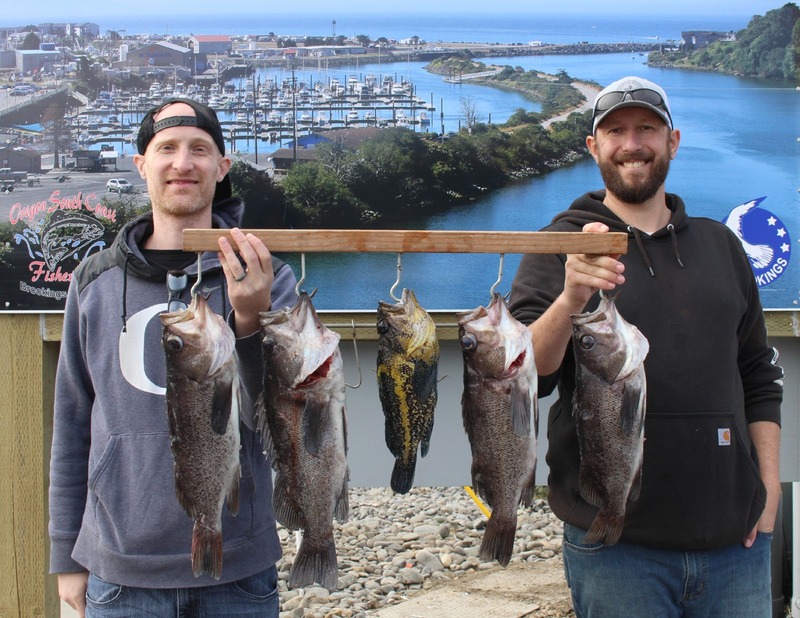 By the middle of December, the river will rise to fishable levels faster and remain fishable over longer periods of time. Last week, the Chetco dropped to 987 cfs. But, this coming week, the National Weather Service is predicting the river will raise to over 3,781 cfs on Monday, and it will probably keep rising after that. When the river is between 2,000 and 3,500 cfs, and is on-the-drop, it’s time to start side-drifting from a boat or drift-fishing from the bank, and the perfect artificial lure is the impeccable, edible yarn ball. Yarn balls, also known as yarnies, are round, spherical pieces of fluffy yarn, and can range in dimensions from dime- to quarter-sizes – even larger! Yarnies are also easy on the pocket book. They can be bought in tackle shops for less than a dollar apiece, but a lot of people make them for themselves for pennies. Why not join them? Now is the perfect time to tie up your own yarn balls, when the Chetco is between salmon and winter steelhead runs, a period that has been dreadfully called, ‘the dead zone’. In fact, yarnies are deadly-effective for winter steelhead. Many guides I know in Oregon and California tell me that if push came to shove, they could actually leave their roe at home and become Mr. Yarn Ball if they so desired. To tie up these steelhead magnets, you will only need four items. 1. One 5-inch piece of one-half inch PEX tubing, which can be bought for a song in any hardware store. 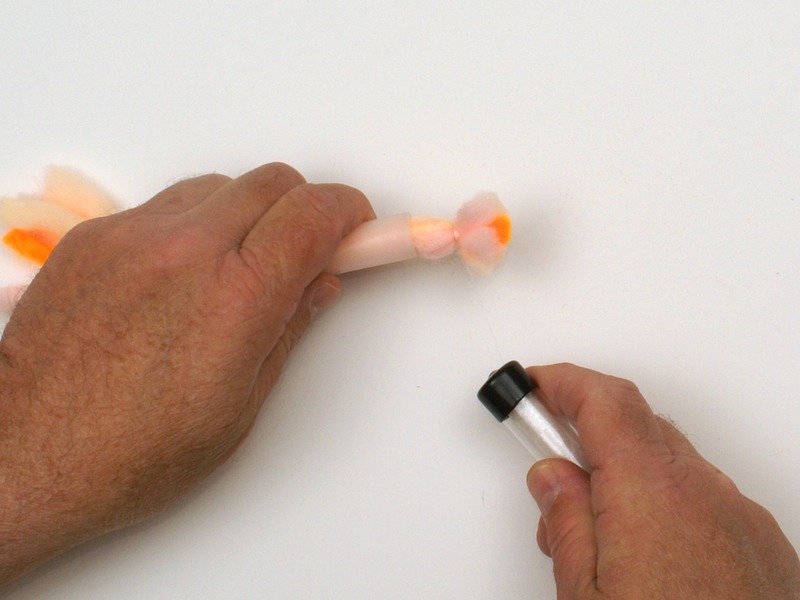 PEX is the tubing where you will be inserting five strands of your favorite-colored Glo Bug Yarn. 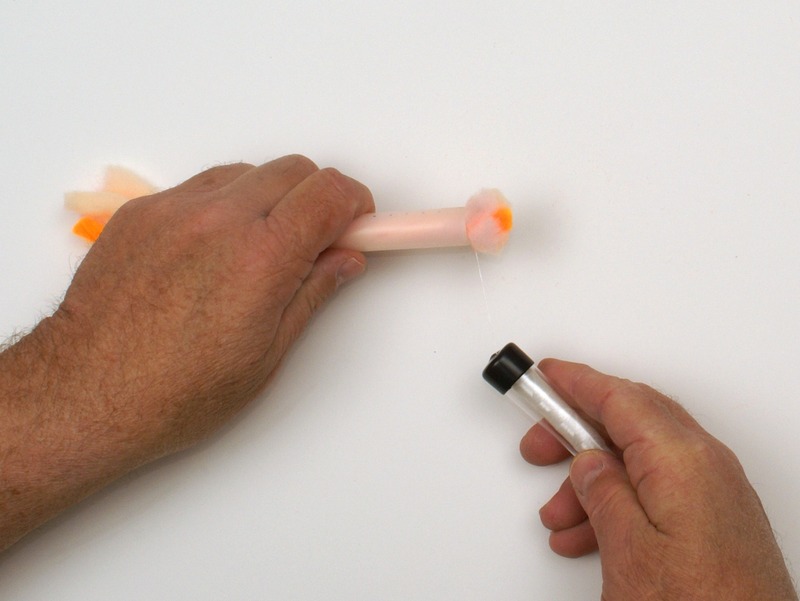 Tip – to get the most concentric and smooth cuts of your PEX, use a small PVC tube cutter. You probably have one of these items lying around the garage, but I bought a PVC cutter that has been dedicated solely to my yarn ball box. 2. A sharp pair of mustache scissors. 3. A roll of Miracle Thread. 4. Five strands of Glo Bug Yarn. You can make yarnies in any color you desire. The color you use will largely depend on the color of the river. Dark reds work great in water that has a lot of color to it, while light pearl pink is perfect for water that is nearly gin clear. Step 1. Lay out five strands of yarn. You can also try various color combinations or you can use four strands of yarn with a different color strand in the middle for that “eyed egg” appearance. I like to use four strands of the cheese-colored yarn and place an orange strand in the middle. 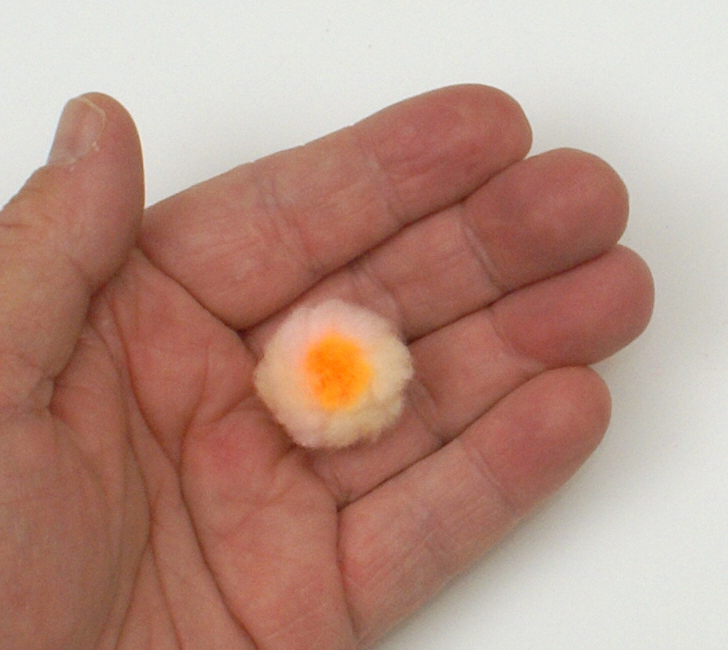 I’ve named this one “fried egg” because that’s exactly what it looks like, a yellow ball with an orange center. Step 2. 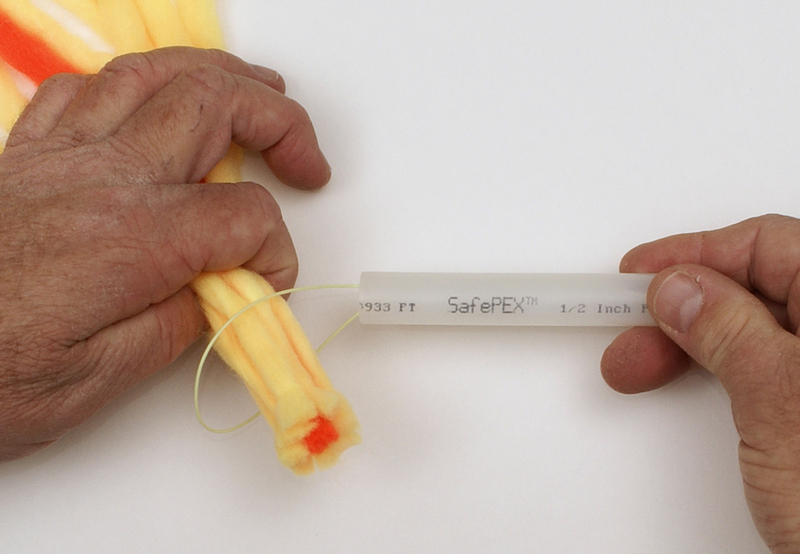 Using a doubled-over piece of 30-pound monofilament, insert the loop of the mono in one end of the PEX tubing so that it comes out the other side. Insert about 6 inches of your Glow Bug Yarn inside the loop and then pull all the strands together through the PEX tubing. Trim all the strands so they stick out of the PEX evenly. Step 3. Using your hand, pull the yarn clusters out of the PEX so that they stick out approximately one-quarter inch. Step 4. Using your Miracle Thread, throw 4 wraps around the entire ganglion of yarn strands, making sure that your wraps are as close to the PEX as possible. Step 5. Pull the strands out of the PEX tubing another quarter inch and throw an additional 10 wraps around the strands. Pull the thread until it breaks. Step 6. Using your mustache scissors, cut all the strands off as close to the PEX tubing as possible, making sure that both sides are of equal length. Step 7. 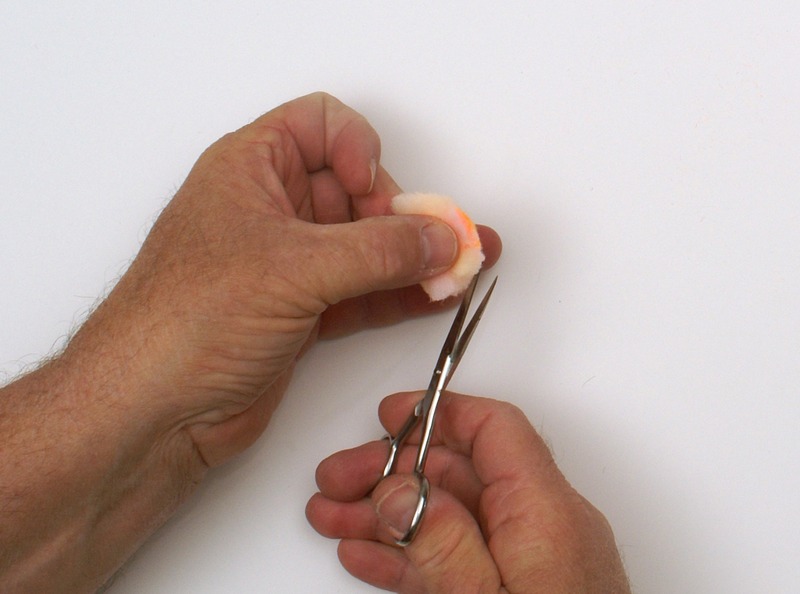 Double over the strands and pinch them between your thumb and middle finger. Trim the exposed sections into a half-moon shape. Step 8. Now roll the piece of yarn around between the palms of your hands and your yarn ball will take on its spherical shape. If you’re fussy, like most steelheaders, you can now trim the yarn ball even more, and then fluff up the yarn ball by pulling on the individual strands. That’s it! It only takes about a minute to make a round piece of steelhead candy. When you’re side-drifting or drift-fishing a yarnie, make sure that your lead is bouncing the bottom every 10 seconds or so. It won’t take long before one of your yarn balls will find its way to the inside of a steelhead’s mouth.